If you or someone you know is a victim of domestic abuse, please contact the 24/7 National Domestic Violence Hotline at 1-800-799-7233 (SAFE) or 1-800-787-3224 (TTY). Problem gambling – also known as the Hidden Addiction – is not frequently identified when family members present for help or seek refuge from an abusive situation. The impact of disordered gambling on those closest to the gambler is real and severe, both emotionally and financially. Loved ones of problem gamblers often suffer a range of effects from the deprivation of basic needs, to physical, emotional, and psychological abuse. Relationships that are full of conflict, especially those where conflicts occur around finances, frequently become violent. It is also possible that victims of abuse and neglect may become problem gamblers themselves, turning to gambling as a way to “escape” from the stress and fear that permeates their relationship. Additionally, children who are impacted by problem gambling are more likely than their peers to suffer from emotional issues such as anxiety and depression, abuse alcohol or other drugs, develop gambling problems of their own, and even experience suicidal ideation. The Florida Council on Compulsive Gambling (FCCG) has developed a program designed to raise awareness of the negative impacts problem gambling can have on loved ones: Problem Gambling: Impact on the Family. Problem Gambling is treatable for those who seek help. Proper assessment and referral are key components to a family’s ability to become a healthy functioning unit. 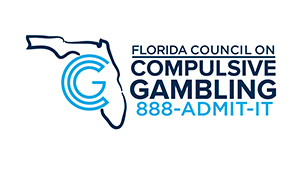 The FCCG’s 24/7, free, confidential and multilingual HelpLine, 888-ADMIT-IT (236-4848), provides gamblers, their loved ones, and professionals with the help they need. 1.“NCADV | National Coalition Against Domestic Violence.” The Nation’s Leading Grassroots Voice on Domestic Violence, ncadv.org/learn-more. 3. “Abuse Defined.” The National Domestic Violence Hotline, National Domestic Violence Hotline, www.thehotline.org/is-this-abuse/abuse-defined/.